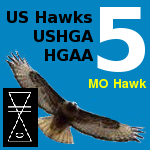 US Hawks Hang Gliding Association • View topic - Hello US Hawks!! My name is Darin. I have been flying hang gliders for 27 years, and two place trikes for 18 years as well. I was taught to hg by Wess Roberts. I’m the owner and Flight Instructor for Southern Oregon Hang Gliding. Thank you for accepting me into your forum. You've just joined one of the fastest growing national hang gliding associations. In fact, we might be the only national hang gliding association that is actually growing!!! Wow!! You sure hit the ground running ... or sprinting!! Thanks for that announcement about Utah State Parks not requiring USHPA membership any more. As you said, I am still in disbelief. I'm expecting to wake up any minute now to the disappointment that it was only a dream. With Mike Jefferson's work at Ed Levin, and the Friends of Dockweiler's work in Los Angeles, and your own work in Utah, the sport of hang gliding is steadily freeing itself from USHPA's monopoly grip. I can't thank you enough. By the way, can you give us a little background on yourself and your flying? The U.S. Hawks is a great collection of independent thinkers, and I really enjoy reading about everyone's backgrounds and interests in the sport. Welcome, Logan. Great to have you with us! NATIONAL PARKS TRAVELLER: Submitted by Rick Masters on June 24, 2018 - 5:40pm. It's a shame that some hang gliding enthusiasts at Funston decided to turn other (qualified) hang gliding enthusiasts away based on some imaginary special privilege or enforcennt authority they think they hold on public land. Fort Funston has been a special case of self-regulation for many years, having recognized the safety conflict in sharing the same narrow lift band with paragliders. By relegating paragliders to a separate nearby area, all have found a a workable solution. This is a good thing and it is in the core interest of Fellow Feathers and the sport of hang gliding not to resort to legal enforcement or banning of fellow hang glider pilots, as this invites a challenge which is very likely to succeed. A government decision, even a statement, to allow non-USHPA members to fly at Funston could be a pyrrhic victory as it might result in the ban on paragliding there being lifted. It would be so much better to agree to disagree, take a deep breath and allow the occasional "rogue" hang glider pilot to fly unmolested than to make Funston "a hill to die on," as they say, by taking a stand on such shakey principles. I had to make this decision myself as the USFS concessionaire of Walt's Point in Owens Valley in the 1980s. Yes, the FAA expects us sportsmen to regulate our sport but we must do it quietly, with peer pressure and not force. Otherwise we risk a brave new world which may not be to anyone's liking. About me... My introduction to flying was outlined in the traveler page. After I was done with USHPA instruction I met up with Greg Bottelberghe and had the distinct pleasure and honor of flying with him up until his passing earlier this month. I've flown my Falcon, U2, ATOS VQ and VR in Point of the Mountain, Stockton Bar, Jedi, Black Mountain, and Randolph Utah. I intend to fly King mountain in the near future and *EVENTUALLY* Yosemite. I am also working on my FAA Glider License, equal weight going to fighting the USHPA monopoly and enjoying the 5 local Glider Club Airports. Logan wrote: I met up with Greg Bottelberghe and had the distinct pleasure and honor of flying with him up until his passing earlier this month. I've flown my Falcon, U2, ATOS VQ and VR in Point of the Mountain, Stockton Bar, Jedi, Black Mountain, and Randolph Utah. I think Greg was interested in getting more involed with the Toole Hawks. They were our second U.S. Hawks Chapter and also became a USHPA Chapter for a while. I've flown with them at Stockton bar and Randolph (aka the Crawfords). They're very good folks. Maybe you could bring a little life back to the club? 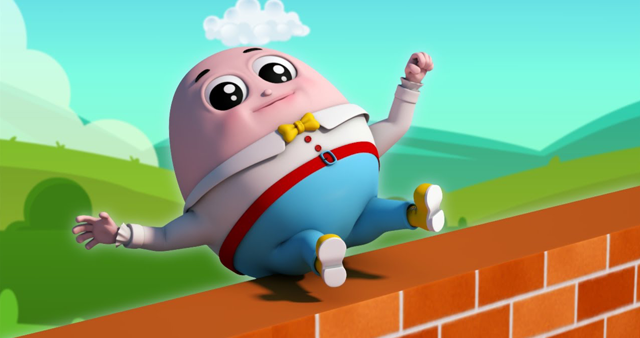 I like the Humpty Dumpty picture Rick!! But I don't think it's USHPA's monopoly that's keeping paragliding out of Funston. In fact, I suspect that as USHPA becomes even more of a paragliding organization, they'll begin trying to take over there as well. It's inevitable. What has kept paragliding out of Funston is the recognition that the two aircraft use the airspace differently and in an incompatible manner. This is especially true in light ridge lift conditions. Fellow Feathers has made that case, and USHPA has looked the other way. I don't think that will continue forever. I personally think that opening Funston to an alternate hang gliding association like the U.S. Hawks would help clarify the different needs of the different groups. Unlike USHPA, the U.S. Hawks is dedicated to hang gliding (it's right there in our mission statement). We would continue to work for rules to keep hang gliding from being eclipsed there. USHPA will not. I began flying very young and soloed gliders at 14 and power at 17. I started Wood Wing Specialty, an FAA Repair Station for wood aircraft structures, in 1976 and was my main source of income for 38 years. I've built hundreds and hundreds of wings "too beautiful to cover" for Stearmans, Cubs, Aeroncas Pitts, Commonwealths, Bellanca, Porterfield, Waco, etc. etc. etc. I designed the all-wood Cracker Jack Sport Plane in 1978 and flew it and marketed plans in 1982. I was a crew member on the Gossamer Condor project when it was here at Shafter and later on the Gossamer Albatross and Penguin. I had the privilege of flying both these famous aircraft as well as the HPA-1, a human powered plane designed by my childhood hero, Taras Kicenuik. 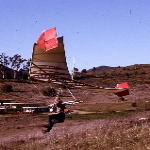 I was an early hang glider pioneer flying many hours successfully in a bamboo and black plastic hang glider of my own design (inspired by Taras' Batso shown in National Geographic). There are no diplomas to prove my competence with aerodynamics or aircraft structural analysis but an intense passion and desire to know all I can in these sciences have driven me to become somewhat of an authority in the design of wood structures and stable, nice flying aircraft. I'm always excited to share my ideas, experiences and knowledge with other designers so feel free to contact me. More recently, I designed, built and am marketing the Pegasus DP-1, a 2-cylinder, O-100 LSA engine which is based on Continental O-200 parts. The O-100 was my solution to a reliable, economical engine for my new Crackerjack 2 LSA. I hold private pilot certs for ASEL, GLIDER. and A&P MECHANIC. I'm an active hang glider pilot with foot launch and aero-tow ratings. I own and fly regularly a 1940 Aeronca 65TC, a Cessna 150 and the prototype Cracker Jack Sport. Great to be back in touch with all you guys! BTW - Check out my thread on this forum about my hang glider basic trainer ideas. Tomorrow (Tuesday) after Bob, Joe (I hope) and I thank the LA County BOS for one year of free flying at Dockweiler (when Windsports is closed), I will be test gliding my 1/5 scale model of my basic trainer design at Dockweiler Beach. At the same time Bob will be discovering the joys of seated flying with my swing seat harness and adapters on his Falcon 195.